Over 60% of enterprises are planning, or are already engaged in, data center upgrades in 2011 – most with real concerns about threat protection, targeted attacks and data breaches. 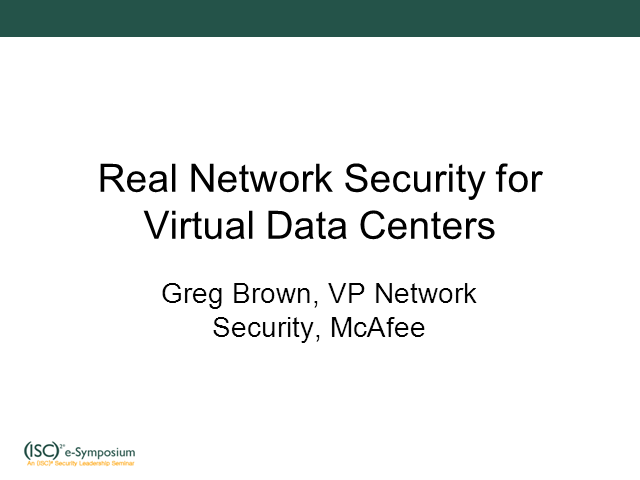 Virtual data centers, cloud computing, flat network and other recent data center trends seriously challenge traditional security models. Learn how to avoid inconsistent network policies, eliminate security management ‘blind spots’ and overcome security loopholes to protect critical data and infrastructure in the modern data center.